Hello, it's Virginia here on the blog today to share with you a few projects using the gorgeous Hat's Off collection! 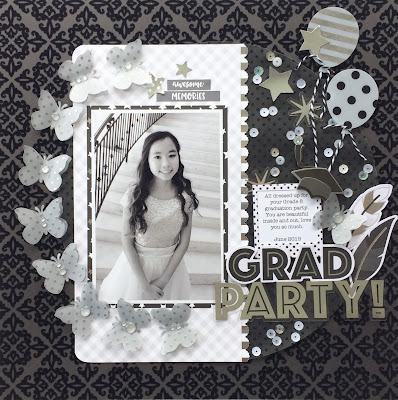 The silver foil papers, ephemera and transparencies are simply stunning! You can definitely use this collection for more than just graduations, I'm thinking anniversaries, parties and other special memories. 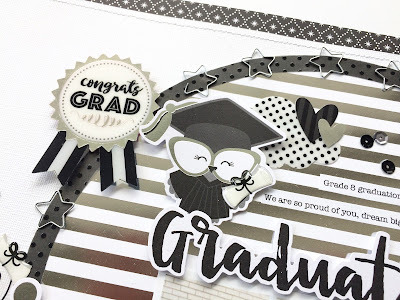 Here on my page, I love anything with stripes so I couldn't resist using the silver foiled striped paper as the backdrop to my photos. Have you noticed the cute shaped clips that come with every collection? So easy to just clip them to the edges of your paper and you add instant pizzaz on your project! For my second page, the base paper is an embossed velvet paper and the texture is so rich (I hope you can see it in the photo)! 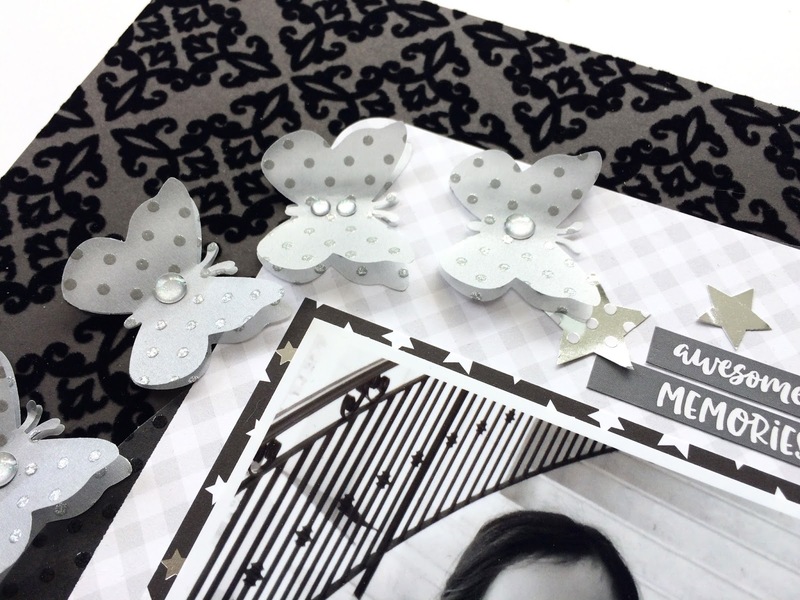 The delicate vellum dot paper is perfect to run through die-cuts and punches, here I made some pretty vellum butterflies with silver sprinkles. These are fabulous!! 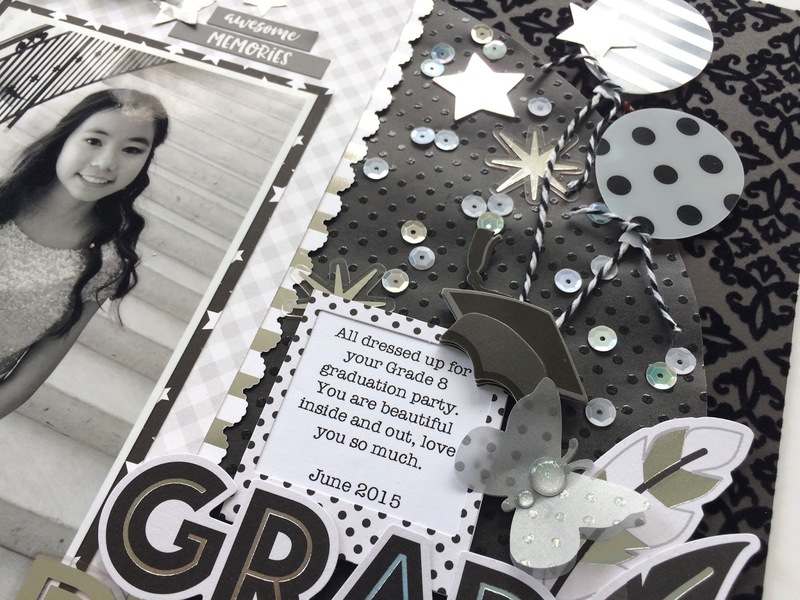 Your little grad is adorable!